On Monday-21-May the Office of Congressman Josh Gottheimer announced that Hackensack High School Senior Emily Mogollon the winner of the 2018 Fifth District Congressional Art Competition. 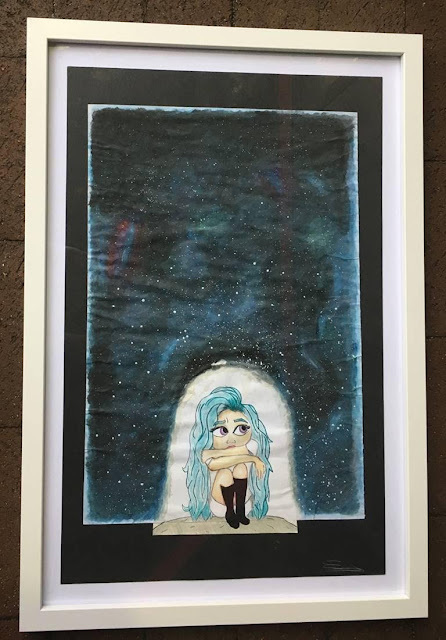 Ms Mogollon work " Insomniac Night" was chosen over 75 works from Students from the Fifth Congressional District served by Congressman Gottheimer. Her painting will go on display in the United States Capital Building for one year starting this June. Ms. Mogollon has also received two round trip tickets to Washington DC to attend the opening a ribbon-cutting ceremony and reception. Congressional Art Competition is held each spring, and is sponsored by the Congressional Institute. This is a nationwide high school visual art competition to recognize and encourage artistic talent in the nation and in each congressional district. Since the Artistic Discovery competition began in 1982, more than 650,000 high school students have participated.Students submit entries to their representative’s office, and panels of district artists select the winning entries. Winners are recognized both in their district and at an annual awards ceremony in Washington, DC. The winning works are displayed for one year at the U.S. Capitol.